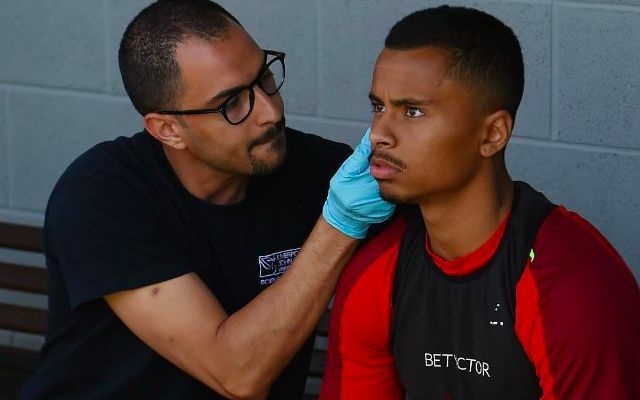 Allan Rodrigues de Souza was handed his first start for Eintracht Frankfurt on Sunday since signing from Liverpool on a season-long loan in the summer. The Brazilian managed 90 minutes as the Bundesliga side cruised to a 4-1 win over Hannover 96 to go level with Hoffenheim in 11th. Both sides have recorded two wins, one draw and three defeats, as well as the exact same number of goals scored and goals conceded. It marked Allan’s second appearance for the club following his 17 minute cameo in the recent 1-1 draw at home to RB Leipzig. He registered an encouraging display in his central midfield role, reliably retaining possession and displaying an impressive urgency to retrieve the ball. Allan signed a contract extension at Liverpool in July prior to leaving the club again in search of regular senior football. The 21-year-old joined the Reds from Internacional in September 2015, but is yet to make an appearance for the club due to issues gaining a work permit. Eintracht Frankfurt mark his fifth loan club since arriving on Merseyside, following spells with Finish side SJK Seinäjoki, Belgian side Sint-Truiden, Hertha Berlin of Germany and Cypriot outfit Apollon Limassol. His time with the latter was cut short towards the end of last season when he was forced to return to Liverpool for surgery on a shoulder injury. Injuries have proven a cruel hindrance to his development as he seeks the minutes he requires whilst waiting for his clearance to play for Liverpool.